Unique Group, one of the world's most prominent integrated subsea and offshore solution providers, has been selected by Teledyne CARIS™ as a distributor for its hydrographic charting software solutions in Nigeria and Kenya. As part of the distributor agreement, Unique Group’s Sharjah office will offer CARIS’ full range of Ping-to-Chart™ hydrographic software solutions to customers within the region. The CARIS Ping-to-Chart software solutions include HIPS and SIPS™, Bathy DataBASE™ (BDB), Hydrographic Production Database™ (HPD), CARIS Onboard™, S-57 Composer™ and Paper Chart Composer™ among others. Niels Nijhuis, Account Manager at Teledyne CARIS commented, "We're pleased to appoint Unique Group as a distributor of our hydrographic charting software solutions in Nigeria and Kenya. Both coastal countries are significant to the hydrographic charting industry, and so, this is a strategic move for Teledyne CARIS to establish market presence there. We have a fruitful association with Unique Group for the Middle East region currently, so it was logical for us to partner with them for newer territories in Africa. We value their seamless sales and support structure and are confident that their team can provide first hand assistance to customers using our software solutions." 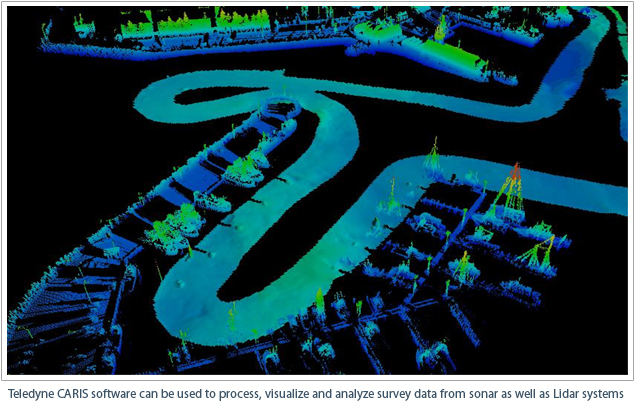 Sharad Kumar, Director of Business Development at Unique Group further added, "Our Survey Equipment division is continually widening its product portfolio with world class hydrographic software solutions and associated equipment. Nigeria is a strategic market for hydrographic surveying operations within the African sub-continent and our partnership with Teledyne CARIS in this region will help bolster our global reach and expand our innovative portfolio of hydrographic software solutions in the region." As an independently owned global company, Unique Group leads the way in providing engineering expertise, sales and rental equipment and the latest technology for the marine, diving, pipeline and subsea market sectors. Unique Group delivers bespoke, off-the-shelf engineering solutions and cost efficiencies across the oil and gas supply chain — onshore and offshore, surface and subsea. Unique Group employs over 500 people worldwide through its seven multi-site divisions: Survey Equipment; Marine & Subsea; Diving & Life Support; Buoyancy & Ballast; On-Site Engineering; Specialised Boats; and Medical Technology. Its 200-plus dedicated engineering specialists work across nine strategically important global oil and gas regions— USA, UK, Europe, Singapore, India, South Africa, Kingdom of Saudi Arabia, Qatar and UAE.